Everyone loves the big-eared, super-charged Evolutions of Eevee! 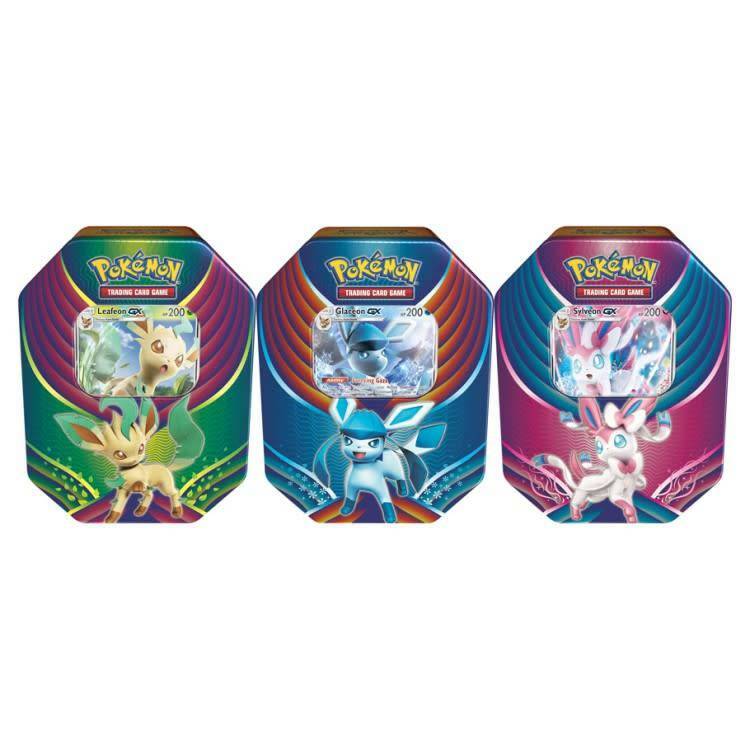 Choose the green wonder Leafeon-GX, the snowy Glaceon-GX, or the fairy-powered Slyveon-GX in the Pokémon Trading Card Game: Evolution Celebration Tin. 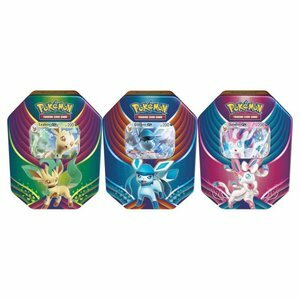 Each of these fantastic tins contains a super-cute Pokémon-GX, with the moves to turn your next Pokémon battle into a quick win!